Hosted by Permaculture Townsville and Food for Thought, this is the first event of the amazing Movies that Matter series for 2013. Please bring along a plate of supper to share at the Food for Thought feast in the foyer?from 5.30 pm. In Transition 2.0?movie starts on the big screen at 7.00 pm. Free for members of Permaculture Townsville. $5 for non-members. 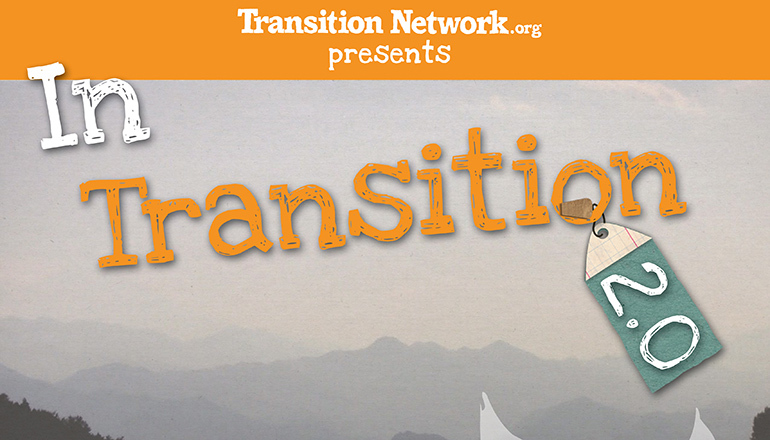 In Transition 2.0 is the second film production by Transition Network, which focuses on the global movement of localised transition groups. Filmed over 7 countries, it follows the many ways that these initiatives are reviving community, challenging business and fostering resilience to the vulnerability of the global environmental and economic crisis. It is a heart warming story that shares a message of hope and more importantly action that inspires people to become involved in positive change in their own lives. The film managed to capture stories from around the world without a single flight being taken. Local camera people were enlisted to film each sequence, which makes In Transitions 2.0 one of the lowest-carbon international films ever produced.
? ?In Transition 2.0 is an inspirational immersion in the Transition movement, gathering stories from around the world of ordinary people doing extraordinary things. You’ll hear about communities printing their own money, growing food everywhere, localising their economies and setting up community power stations. It’s an idea that has gone viral, a social experiment that is about responding to uncertain times with solutions and optimism. In a world that is awash with gloom, here is a story of hope, ingenuity and the power of growing salads in unexpected places. ?